Sam’s Club is a warehouse club subsidiary of Walmart and the #2 warehouse club in America, behind Costco. Like Walmart, it’s named after the founder of the corporation, Sam Walton. Sam’s Club was established in 1983, with its first location opening in Midwest City, Oklahoma. Within four years, Sam’s Club added 24 new locations by acquiring the SuperSaver wholesale Warehouse Club. They would acquire the PACE Membership Warehouse in 1993 to add even more locations, promoting even greater growth. Today they own over 600 locations across the US, providing bulk purchase savings to businesses and price-conscious shoppers. Sam’s Clubs sell nearly any item you might need for home and business. You can find groceries and hot freshly-cooked foods there. Furniture, clothing, electronics, and office supplies are all available. You can make service-oriented purchases as well through the Sam’s Club pharmacy, tire and battery/automotive service, floral, and photo departments. No matter what you might want or need, there’s a good chance you’ll find it at Sam’s, and at cheaper than standard retail prices. And now, with Black Friday approaching, there are even bigger chances to save. Samsung 75″ Class 4K UHD HDR Smart TV with Samsung 3.1 Bluetooth Sound Bar and Wireless Subwoofer — save $550 when buying this TV and sound bar set together. Hitachi 49″ Class 1080P TV – Save $50 off the regular price and get this Full HD tv for only $278! It features 3 HDMI ports to connect your video devices. Vizio XLED Smartcast 65″ Class 4K UHD HDR Home Theater Display — Save hundreds on this Vizio XLED display at only $598. The 4K/UHD display provides crisp and amazing detail, and support for the Vizio Smartcast app lets you control and send content to your television from your mobile devices. Vizio XLED Smartcast 80″ Class Ultra HD Home Theater Display — Save $500 on this brilliant display at only $2,498 for Black Friday. This deal is available online only. Hitachi 60″ Class 4K UHD HDR Roku TV — get a large 4K display with built-in Roku smart TV support for only $498, $150 off the regular price. This deal is available online only. Save $1200 on the Samsung 85″ Class 4K UHD Smart TV — This deal is available online only. Omnimount SC230FM TV wall mount — free floor space with this HDTV adjustable wall mount, now discounted to less than half price. Regularly $99.98, it’s available to you for only $49.98 for Black Friday. Xbox One S game console — Play the latest hit games and enjoy high-quality media with the 500GB XBox One S console for only $189. Playstation 4 1 TB Console — Get this Playstation 4 console with a 1 TB hard drive to store all your favorite games, music, videos, and media. Save $100 off the regular price and get it for $199. 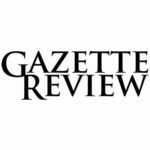 HP 15.6″ or 17.3″ HD Laptops — Each of these laptops come with Windows 10, 8 GB of memory, a 7th generation Intel Core i7 processor, and a 2 TB hard drive. Choose your favorite screen size and pay only $549, a $200 discount off the regular price. HP Pavilion 23.8″ Full HD Touchscreen All-In-One Desktop — This compact system comes with 8 GB of RAM, a 1 TB hard drive, plus GTX930MX graphics for gaming applications. Get it for $599 and save $200 this Black Friday. HP 17.3″ HD+ Intel Core i3 Notebook — Features a 2 TB hard drive and 8 GB of RAM. Save $200 and get it for only $349! This deal is available online only. HP Touchscreen 15.6″ HD Intel Core i5 Notebook — A $220 Black Friday discount prices this solid laptop at only $449. The i5 processor provides a nice step up in power. This deal is available online only. Apple iPad 5th generation, 32 GB, Wi-Fi + Cellular — Save $130 on the latest iPad with cellular connectivity. It’s only $327 for Black Friday, even cheaper than the regular price for the same iPad without cellular support. This deal is available in-store only. Samsung Galaxy Tab E Elite — snag this compact 7″ Android tablet at a great deal. Normally $99.86, it’s now only $69.86. HP Officejet 4655 All-In-One Printer — Print, scan, and copy with this multi-purpose printer. Save $50 off the regular price and get it for only $39.87. Amped Wireless Wi-Fi Router and Range Extender bundle — Get the AC1900 router and AC1200 range extender to supply fast Wi-Fi networking to even the remotest areas of your home. Regularly $149.98, get it for only $99.98! Free Country lightweight down jacket — Stay warm this winter with a feather down jacket. Sied from S to XXL and available in a variety of colors, you can pick one up for only $19.98. Eddie Bauer flannel shirt — These 100% cotton button-up shirts come in a variety of colors and patterns. Save a third off the regular price and pick them up for only $9.98. G.H. Bass & Co. Hudson 3-in-1 Tote — Available in four colors, this bag feature handles and a crossbody strap so you can hold it however you prefer. It includes a detachable clutch with tassel for when you only need a few things. Only $29.98 for Black Friday. Half-carat diamond earrings — certified diamond earrings set in 14K gold, appraised at $760. Get them for only $299. Member’s Mark sleep pants — Kids will love these fun, colorful and comfortable sleep pants, available in a variety of styles. Only $6.98. Hampton leather reversible sectional and storage ottoman — this sectional couch seats three and includes a large ottoman to keep all your living room necessities in when not in use. Save $200 during Black Friday and get it for only $499. This deal is available online only. Save $200 on any Serta Perfect Sleeper king or cal-king mattresses, or $100 off any Serta Perfect Sleeper queen-size mattresses. This deal is available online only. Seville Classics UltraHD Tall Storage Cabinet — rolling four-shelf cabinet with locking stainless steel doors. Save $50 and get it for $149.98. Franklin Power Recline Theatre Chair — perfect for relaxing at your home theater. It includes a swivel-out table great for quick dining or a computer, plus a hidden cup holder. It includes electrical outlets and USB ports to hook up all your favorite devices. Only $299 after a $50 discount. Shark Rotator XL Vacuum — Save $50 on this quiet, dependable vacuum cleaner. It includes a pet power brush and swivel steering to give you access to hard-to-reach places. IRobot Roomba 665 — this vacuum robot features long-lasting battery life and every-day scheduling. Take the work out of keeping your floors clean for $50 off the regular price at $249.98. There are even more deals available on the ad scan, so if you couldn’t find the perfect deal, there may still be something for you. When does Sam’s Club open for Black Friday? 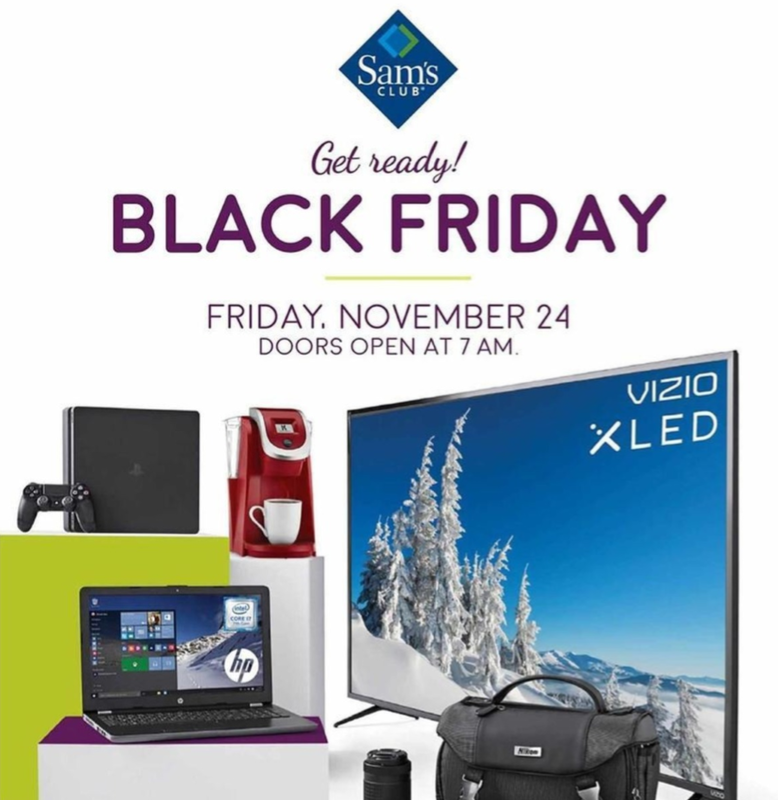 Black Friday deals at Sam’s Club officially begin at 12:01 AM EST on Thursday, November 23, for online shoppers. For in-person shoppers, the doors open on Friday, November 24 at 7 AM. Sam’s Club will be open on Black Friday at retail locations from 7 AM to 9 PM. Black Friday pricing is available through November 26. Can you shop online, or is it in-store only? The Black Friday sale takes place both online and in-store. Many of the deals are the same, but some are for online or in-store purchase only. What is the Sam’s Club return policy? Sam’s Club will accept returns for refunds at any time after purchase on many items, but several categories of items have specific rules and limitations. These categories include software, cell phones, computers, auction purchases, automotive, movies and music. televisions, and more. Make sure to check before attempting to return any purchase. Most items purchased online can be returned to a retail location, but items purchased at retail locations cannot be returned online. With a few exceptions, items can be returned to a different retail location than the one where you purchased the item. Receipts are preferred, but returns can be completed without them. Software, music, movies, and automotive cars and batteries cannot be refunded and must be exchanged instead. 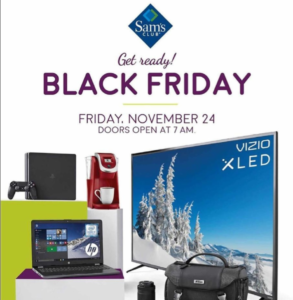 If you’d like to take a closer look at all the great deals going on at Sam’s Club for Black Friday, just click on the image preview below to download or view the ad. A tech-savvy freelance writer who enjoys music, personal finance, and competitive gaming.